A professional carpet cleaner in Danville, CA will not only give your carpet a longer life but will also keep it free of any allergens and bacteria that might settle on it over time. Here are top ways in which professional carpet cleaners can help you keep the shine of your carpet for a longer time. Professional Carpet Cleaning - How does it help? So, winter is here, and I have started feeling dizzy, it’s not that I hate winter, but I hate falling sick in winter. Ever wonder why many people fall sick during winter? Well there are lots of reasons for that, many of the reasons we know and many we don’t. But do you know what that is? Pre-Inspection – A professional cleaner in Danville, CA will inspect your room taking notes of the areas which you need to be cleaned. For instance, you spilled your red wine on the carpet the other day and the stain is there for long. Preparing the room – To clean the whole carpet, you might need to move some moveable furniture for some space to clean the carpet. Dry Vacuum – To make the agitation process easy for the floor, a cleaner needs to clean the floor for the removal of some dry dirt from the carpet. Pre-spray and Stain Removing – A cleaner analyzes the stains and applies the proper solution to remove the stains on the carpet. Churning and Free time – A cleaner applies some special chemicals for the maximum soil break into the carpet. Deep Cleaning Process - This is the important step in professional cleaning, where a cleaner use a carpet extractor which penetrates enough heat in the carpet to clean the toughest parts of any carpet. Post-Inspection – Once the cleaning process is done, you need to inspect the floor to make sure the cleaner has not left any spot. 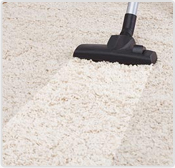 Finishing – Once everything is done, the cleaner uses a dryer to settle down the carpet and then use a carpet brush for its grooming.